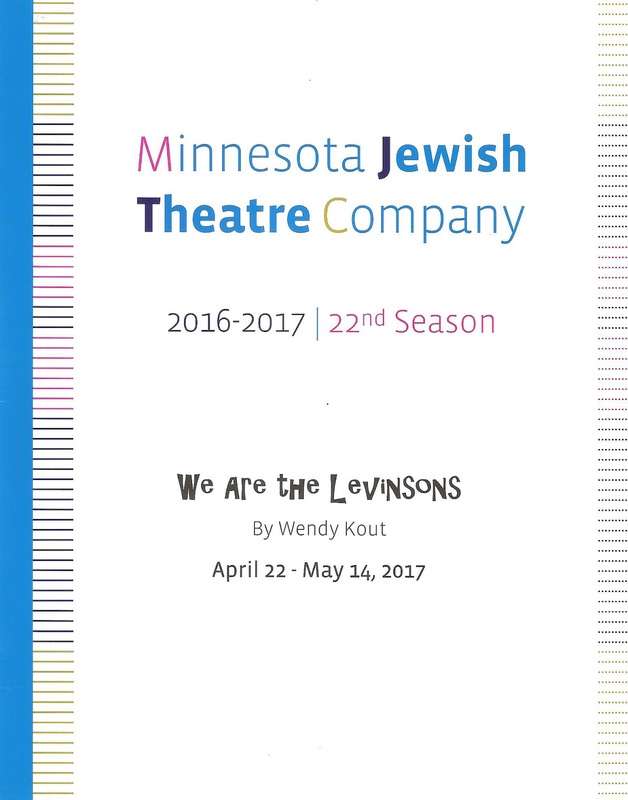 The new play We Are the Levinsons is like a very special episode of a TV sitcom. I mean that as a compliment; I grew up on sitcoms (and I learned a lot from the very special episodes). 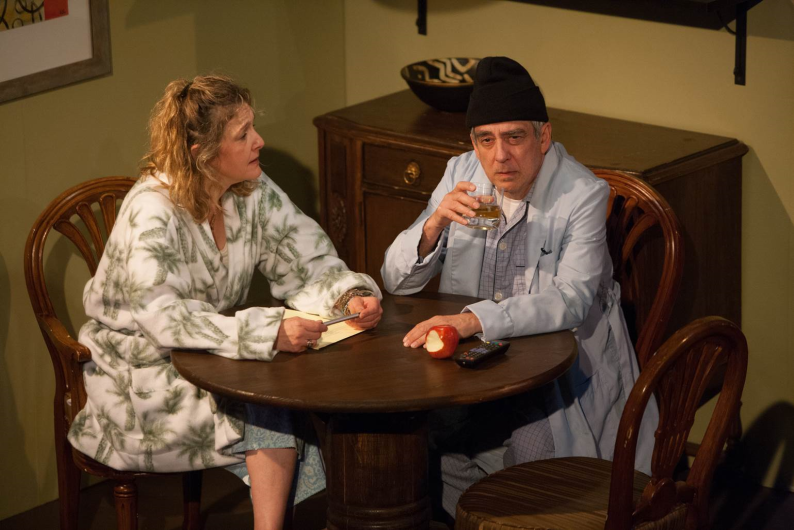 Playwright Wendy Kout has experience with TV sitcoms; she created one that ran four seasons. The play is structured as a series of scenes with natural commercial breaks, often punctuated with a joke or a shocking reveal. Even the font used in the program has a Gilligan's Island-esque feel. But like those very special episodes, We Are the Levinsons deals in more than easy jokes as the characters struggle with aging, illness, messy family relationships, and identity crises. And you may find yourself shedding a few tears amongst all the laughter. So who are the Levinsons? They're a Jewish-American bicoastal family that doesn't cry and doesn't quit. Parents Lil and Lenny are enjoying retirement in their California condo (realistically recreated by scenic designer Michael Hoover). But they wish that their daughter Rosie, a TV sitcom writer living in NYC, would visit more often with her young adult daughter Sara (a spoiled and selfish brat, the kind that gives millennials a bad name). They get their wish when Rosie loses her job and temporarily moves in with the folks to help them with their increasingly serious health issues. Both mother/daughter pairs have thorny relationships and are forced by proximity and circumstance to try to better them. Caregiver Grace, who happens to be a transgender woman, comes into the family and helps them to grow closer, while Lenny learns to "swallow his pride and his prejudice." The tight five-person cast, under the direction of Kurt Schweickhardt, brings much heart and humor to their roles. As Lil and Lenny, Nancy Marvy is indeed marvy (I'm sure she's heard that before) and Robert Dorfman is as charming as ever. Together they make a sweet and lovable couple. Melinda Kordich is great and natural as their daughter, and Adelin Phelps brings out all the brattiness of Sara while occasionally allowing us to glimpse the tenderness underneath. Alyssa DiVirgilio is a calming presence as Grace, although I wish they had cast a transgender actor. The Levinsons are a realistic and familiar family, mildly dysfunctional but also loving; they're there for each other when it counts. You'll laugh, you'll cry, you'll likely recognize your own family somewhere. 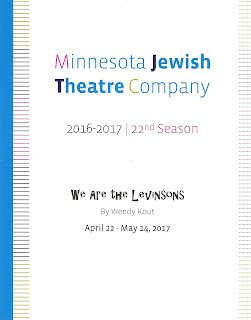 We Are the Levinsons continues at the Highland Park Center Theater through May 14.